Instructions for making the pushing puff balls activity can be found here on the blog Children's Learning Activities. Younger children simply push the pom-poms through the holes (the holes are slightly smaller than the pom-poms so the kids must push them through, rather than just dropping them in the holes). We used colored permanent markers to color around each hole so older children have to match the color of the pom pom to the proper hole, not just push them through any hole. 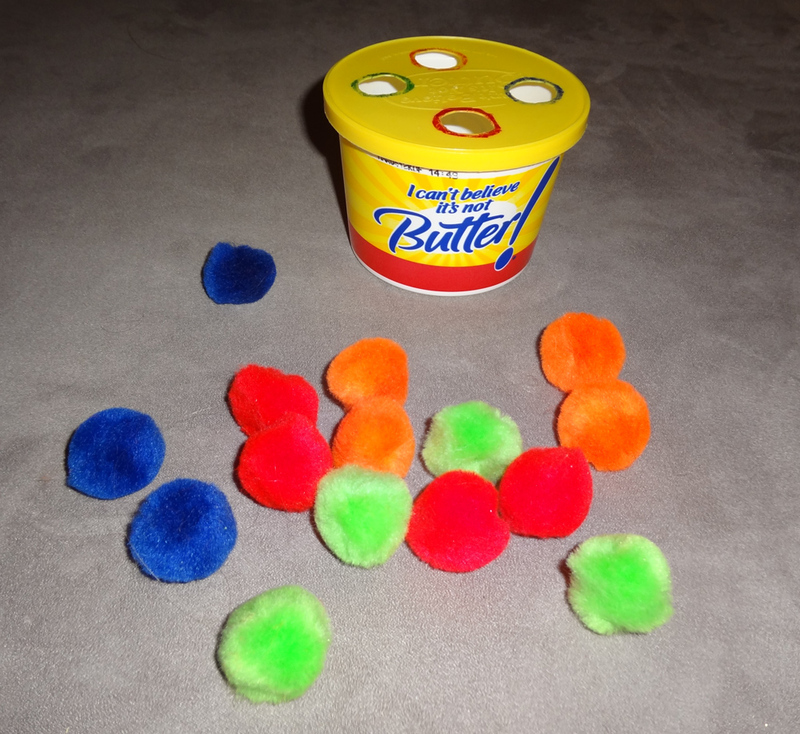 Children could also count the pom-poms as they push them into the container - how many of each color are there? How many total?